China has launched a relay communication satellite in the first step of a mission to probe the far side of the moon. The satellite was launched with the Long March 4C rocket from the LC-3 pad at the Xichang Satellite Launch Center in southwestern Sichuan province. The satellite is named Queqiao, or “bridge of magpies,” after the birds in a Chinese folktale that help connect two parted lovers once a year. Queqiao will connect earth to the Chang’e-4 lander and rover that China plans to launch towards the end of this year. Chang’e is the name of the Chinese moon goddess. The spacecraft is based on the CAST100 small satellite platform and will have a lifetime of five years, covering this mission and potentially another. It has a mass of 425kg and uses a hydrazine propulsion system. It will transmit back to Earth via its S-band antenna, while provide the communication path between the lander and rover with the X-band. This latest launch is part of China’s growing ambitions for lunar exploration. 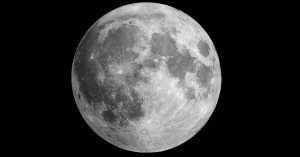 If all goes as planned, China will become first nation in the world to land on the far side of the moon. The satellite is needed because direct communication is impossible between the moon’s far side and the earth. More robotic missions are planned, but a crewed lunar landing is still around 15 years away. The Queqiao will be traveling with a variety of international payloads for this mission. A radio antenna built by Chinese and Dutch scientists, known as the Netherlands-China Low-Frequency Explorer (NCLE), is being transported with the satellite. The antenna will be stationed about 60,000 km behind the moon. Both the Dutch scientists and China’s teams will have equal access to the data. Scientists are looking for the radio antenna to reveal clues about the universe’s beginnings, a time after the Big Bang when stars began to form. The antenna is designed to catch ancient signals with frequencies below 30 megahertz. Signals in lower frequencies are harder to distinguish from a place with a lot of interference like the earth. The radio receiver will only start collecting data after Chang’e-4 arrives on the moon.